Toronto, Ontario (FSCwire) - PJX Resources Inc. (“PJX”) is pleased to announce that Teck Resources Limited (“Teck”) has completed a Magnetotelluric (MT) geophysical survey which identified a conductive anomaly in a geological environment favourable to host a Sullivan Type deposit on the DD Property located in the Cranbrook area of British Columbia. The MT survey carried out by Quantec Geoscience for Teck has defined a MT anomaly that appears to coincide with the anticipated depth of the Sullivan horizon. The anomaly occurs on the DD Property within a sedimentary basin called the Panda Basin that is geologically similar to the Sullivan Basin hosting the Sullivan deposit located about 45 km to the north. Teck is assessing the MT target for drilling and is in the process of applying for the relevant permits. The MT survey consisted of two 4 km long, widely spaced (700m apart) east-west oriented lines carried out to assess the Panda Basin at depth and a third perpendicular line to assess the location and dip of the regional synsedimentary Moyie fault. Readings were taken at 200 m intervals. The 2 parallel MT lines define an anomaly that is open to the north and south. “We look forward to testing the significant and sizable MT anomaly.” states the President and CEO of PJX, John Keating. “The Sullivan horizon has never been drilled on the DD Property.” Refer to PJX’s Cranbrook Properties map showing the location of the MT target area and the historical holes mentioned above at http://pjxresources.com/pjx-teck-property-map.jpg. Additional information will be placed on the PJX website as it becomes available. The road accessible DD Property is located approximately 120 km east of Teck’s Trail Metallurgical Complex that produced some 8 million tonnes of zinc, 9 million tonnes of lead, and over 285 million ounces of silver from processing Sullivan Mine concentrate. The Sullivan Mine produced concentrate for over 90 years before being closed in 2001. 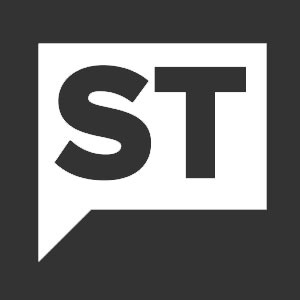 Stage 1: Teck has an initial option to earn a 51% interest in the DD Property by incurring $4 million of Expenditures (as such term is defined in the Agreement) by January 31, 2021 (the “First Option”). Stage 2: Teck may elect to earn an additional 24% interest in the Property, thereby increasing its interest to 75%, by incurring an additional $4 million of expenditures by January 31, 2024 (the “Second Option”). Provided that Teck has exercised the First Option, a joint venture (the “Joint Venture”) shall be deemed to be formed on the date (the “Participation Date”) upon which the earlier of the following occurs: (i) Teck declines or advises that it is no longer pursuing the Second Option; (ii) Teck delivers a notice to PJX notifying PJX of the exercise of the Second Option; or (iii) January 31, 2024. If either party elects to not participate in the Joint Venture their interest may be diluted on a pro rata basis to a 5% Net Profits Royalty. Approximately $150,000 has been spent by Teck on the DD Property to date. The DD Property is comprised of the DD claims, 440 hectares (ha) of land, that PJX optioned from Doug Anderson (50%) and David Pighin (50%)(previously announced in a press release of PJX dated July 26, 2015), and the DD Extension Claims (1900 ha) owned by PJX. The foregoing geological disclosure has been reviewed by Dave Pighin P.Geo. and John Keating P.Geo. (qualified persons for the purpose of National Instrument 43-101 Standards of Disclosure for Mineral Projects). Mr. Pighin is the consulting geologist for PJX on the DD and Vine Properties. Mr. Keating is the President, Chief Executive Officer and a Director of PJX. 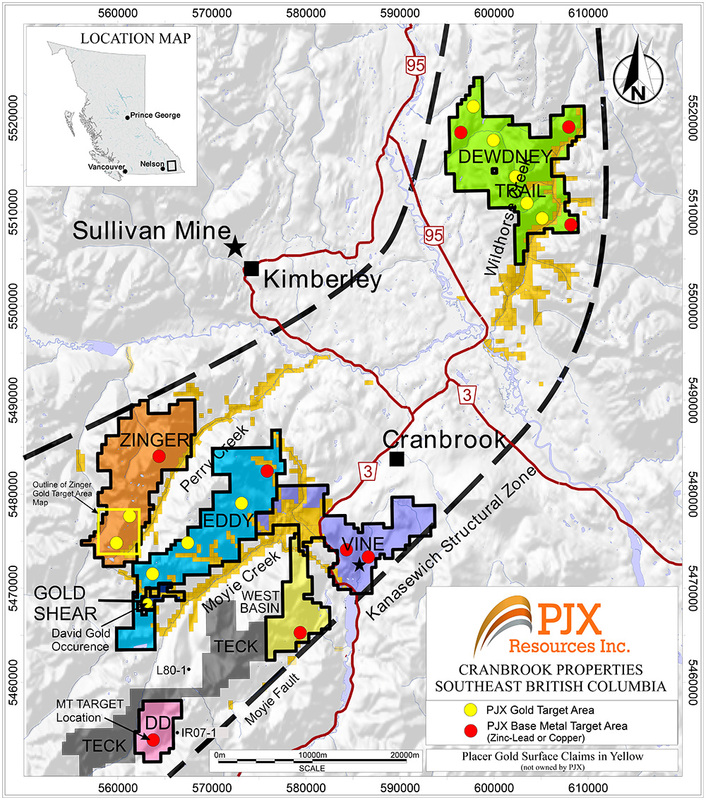 PJX is a mineral exploration company focused on building shareholder value and community opportunity through the exploration and development of mineral resources with a focus on gold and base metals. PJX’s properties are located in the historical mining area of Cranbrook and Kimberley, British Columbia. Please refer to our web site http://www.pjxresources.com for additional information. This News Release contains forward-looking statements. Forward looking statements are statements which relate to future events. Forward-looking statements include, but are not limited to, statements with respect to exploration results, the success of exploration activities, mine development prospects, completion of economic assessments, and future gold production. In some cases, you can identify forward-looking statements by terminology such as "may", “appears to”, "should", "expects", "plans", "anticipates", believes", "estimates", "predicts", "potential", or "continue" or the negative of these terms or other comparable terminology. These statements are only predictions and involve known and unknown risks, uncertainties and other factors that may cause our actual results, level of activity, performance or achievements to be materially different from any future results, levels of activity, performance, or achievements expressed or implied by these forward-looking-statements.